The first documented use of olive oil as cosmetic is dated in the time of the roman empire: it was used to heal wounds and applied to the skin to achieve general protection. Skin tissue goes through a number of changes. Some of the chief ones are that the inner and outer layers of the skin (dermis and epidermis) grow thinner, elasticity is lost, the area joining the dermis to the epidermis becomes less cushioned, fibrosis occurs with the accumulation of collagen and the tissue is less able to fight against and repair damage. External factors, such as the sun’s rays, speed up ageing by generating free radicals. Though cells are equipped with mechanisms that neutralise their action, it is possible to reduce cell damage by using inhibitors that lower the risk. 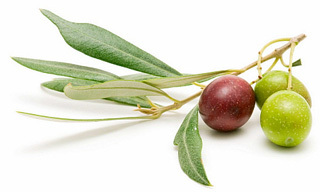 One such natural inhibitor is olive oil, whose lipid profile is very similar to that of human skin. On top of polyphenols, olive oil has a large proportion of vitamins A, D and K, as well as vitamin E, the main source of protection against the free radicals that produce cell oxidation. This makes it a good aid in specific therapies to treat skin disorders such as acne, psoriasis and seborrheic eczemas. It has also been suggested that because of its pronounced antioxidant effect, olive oil could play a choice part in the prevention of continuous oxidation, one of the processes that influences the development of certain types of skin cancer. Vitamin E studies have begun, but these kinds of observations take a long time, which means that conclusive data are not yet available. However, the theory is that oleic acid is believed to play a major part in counteracting continuous oxidation.